Shingles is an infection of the nerve and the surrounding skin supplied by the nerve. It is caused by a virus called the varicella-zoster. This is the same virus that causes chickenpox. About one in five people develop shingles at some point in their life. It can occur at any age, but it is mostly common in people aged 50 and above. Anyone who has had chickenpox in the past (which is pretty much every adult) can develop shingles and its symptoms. The majority of adults have had chickenpox at some stage in their childhood. The virus does not completely go away after you’ve had chickenpox. Some virus particles remain inactive in the nerve roots next to the spinal cord. These inactive virus particles do not cause any harm there and show no symptoms. However, for reasons that are not yet very clear, the virus may reactivate and begin to multiply again years later. The reactivated virus travels along a nerve and manifests on the skin surrounding the nerve to cause shingles. The most commonly involved nerves are those that supply the skin on the abdomen (tummy) or chest. 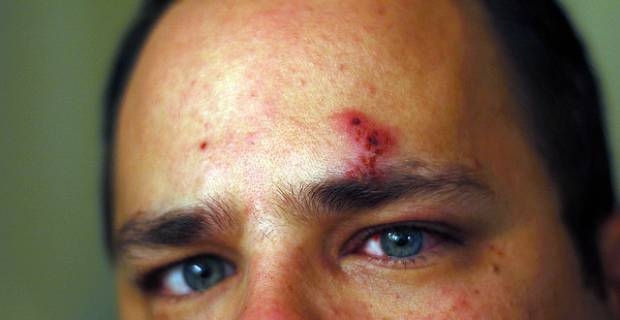 The upper face including an eye is also a commonly affected area. Symptoms of shingles occur in the area of skin that the nerve supplies. The typical symptoms of shingles are pain and a rash, but there may be more. It is a localised band of pain that can range from mild to severe. It can occur anywhere on the body, depending on the nerve that is affected. You may have a constant gnawing, burning or dull pain, or instead a sharp and stabbing pain that comes and goes. This typically appears two to three days after the pain begins. 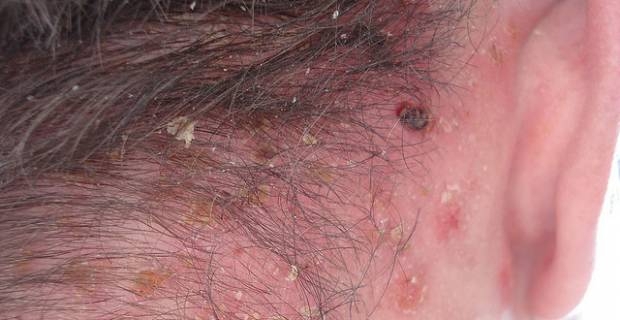 Red blotches soon appear on the site of the rush and quickly develop into itchy blisters. Blisters may appear on affected site for up to a week. These resemble chickenpox blotches, but only appear on the band of skin supplied by the affected nerve. The blisters then dry up, form scabs and slowly disappear. Inflammations caused by the virus may cause the soft tissues around (and under) the rash to swell. Slight scarring may occur in the areas where the blisters developed. Consult your doctor if you notice shingles symptoms and suspect an outbreak is beginning. Your doctor may recommend antiviral drugs in the early stages that may shorten the course of the infection, including aciclovir, famciclovir, and valaciclovir. Antidepressant medicine and anticonvulsant medicine may be prescribed to ease severe pain during an episode of shingles, while steroid medication may help to reduce swelling (inflammation). Antibiotics may help to halt the spread of secondary bacterial infection as indicated by high fever, swelling and spreading redness. As a general rule, visit your doctor as soon as shingles develops. This is particularly important if shingles develops on your face and spreads near your eye to prevent possible cornea damage, or your rash lasts longer than 10 days without improvement.